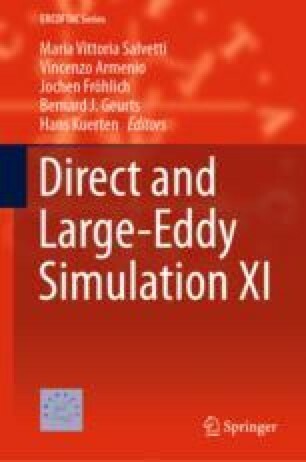 With increasing computational power, direct numerical and large eddy simulation (DNS and LES) of reacting flows with complex chemistry are becoming common, e.g. Yoo et al (Proc Combust Inst, 34(2):2985–2993, 2013, ), Duwig and Iudiciani (Fuel 123:256–273, 2014, ), Fooladgar et al (Comput Fluids 146:42–50, 2017, ). The resulting data which may occupy hundreds of gigabytes of storage, consists of millions to billions of points each of which is described by tens to hundreds of chemical species. To explore and analyze this large, high-dimensional data, conventional visualization techniques such as scatter plots, histograms and pairs plots are limited. Human visual perception is well tuned to identify patterns and trends in graphs with one or a few data variables at a time, calling for new automated identification tools. The financial support of the Swedish Energy Agency (Energimyndigheten) is greatly acknowledged. The simulations were run on LUNARC and HPC2N super-computing facilities within SNIC ressource allocation.